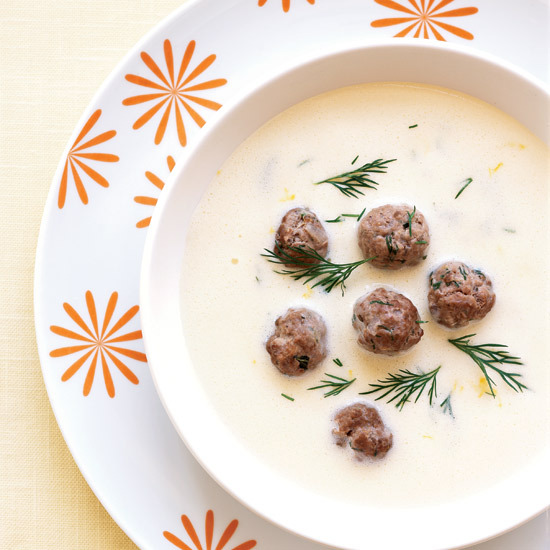 Versatile recipes for a classic dish, from tangy lemon-egg soup with tiny meatballs to a scrumptious Sicilian meatball soup. 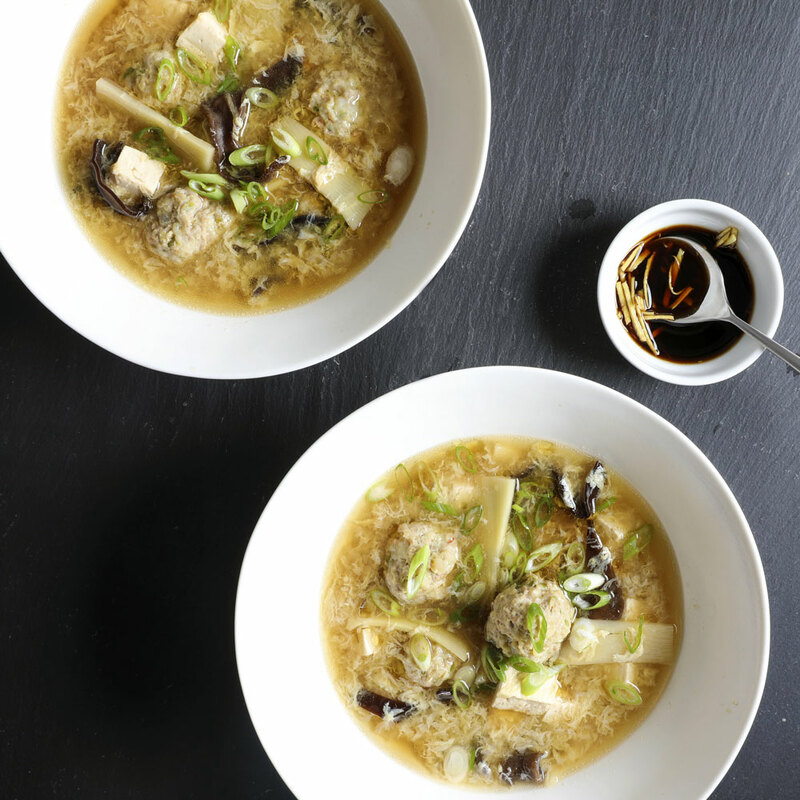 This version of hot-and-sour soup from Food & Wine’s Laura Rege is light and brothy, with juicy little shrimp-and-pork meatballs throughout. Turkey is deceptively strong in flavor and can stand up to even the most powerful red wines. Here, try a raw-boned, rich Petite Sirah from California for a rollicking duet. With its blend of chicken stock and vitamin-C-rich lemon, this restorative soup (inspired by the classic Greek lemon-egg soup avgolemono) is a good way to fight colds or the flu. 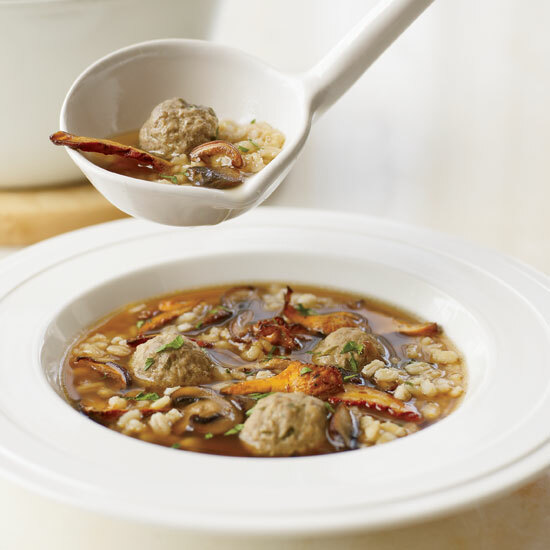 Grace Parisi has always been a fan of mushroom barley soup with beef that has been simmered until succulent. For a clever shortcut that still delivers deep flavor, she replaces the beef with meatballs made from a quick mix of sirloin, egg, bread crumbs and cheese. 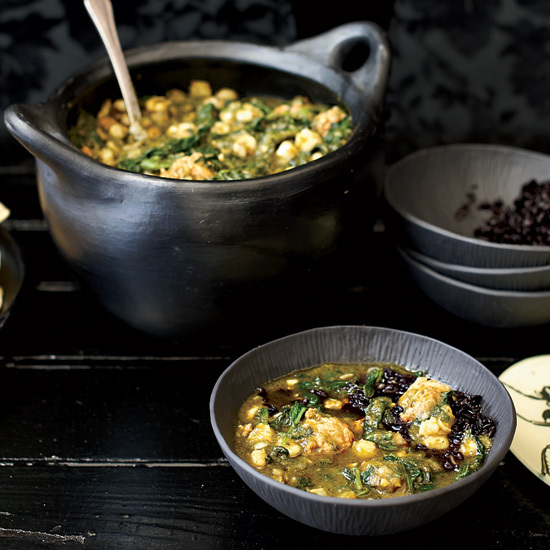 Spinach and pureed poblano chiles (sautéed with garlic and cumin) give this chili a swamp-like look that's fun on Halloween. 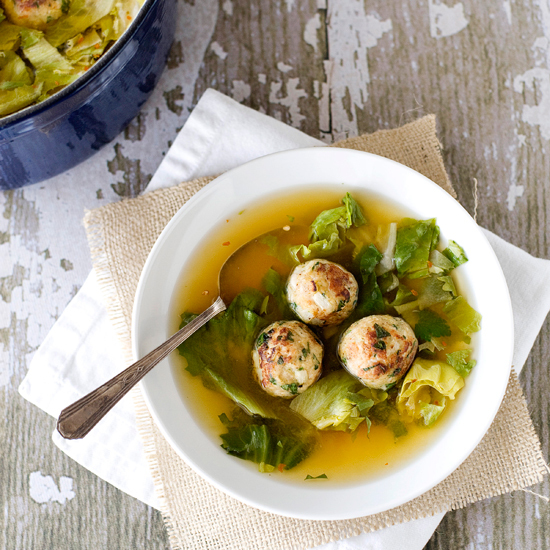 Before serving, Grace Parisi stirs in hominy and little chicken-and-pork meatballs. 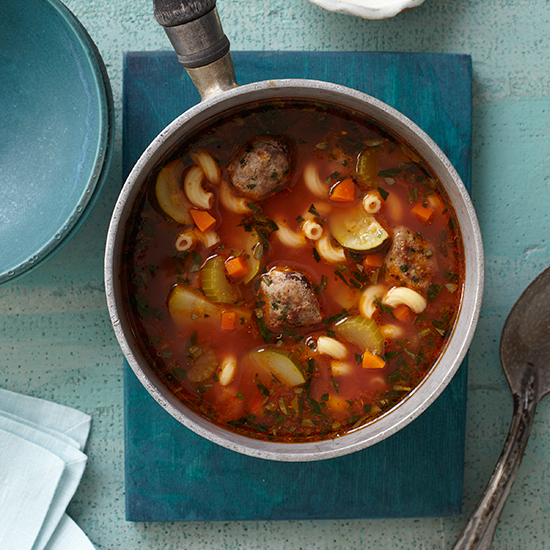 Flavored with Parmesan and garlic and studded with raisins, scrumptious Sicilian meatballs turn vegetable soup into a tempting meal. 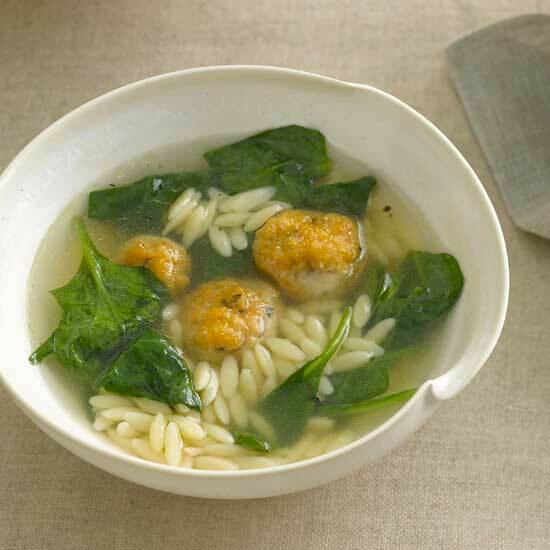 If the soup waits, the pasta may absorb much of the liquid; just add water or more stock. 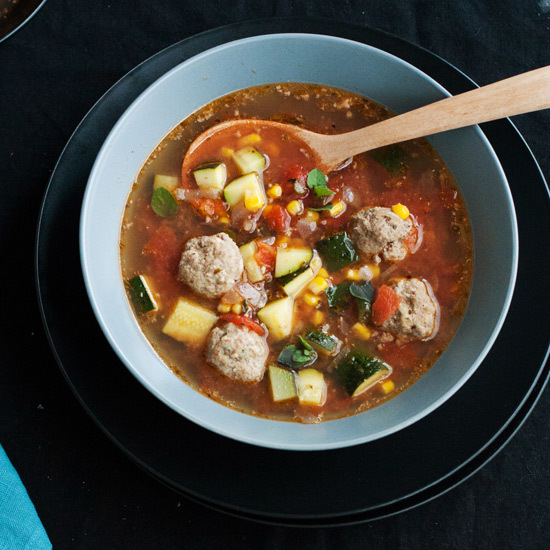 Studded with zucchini, corn, and tomatoes, our brothy soup is comforting, especially on chilly evenings. Oregano flavors both the liquid and the meatballs.